A retired teacher and skilled carpenter, Dave came on staff at CP in 2008 as the building and maintenance supervisor. 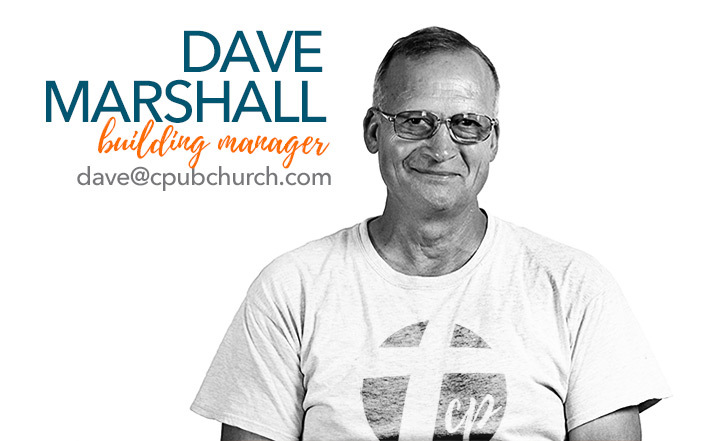 His expertise has shown brightly at CP as improvements and betterments are continually made to a very busy ministry site. Dave is married to Nancy and has two married daughters and six grandsons.